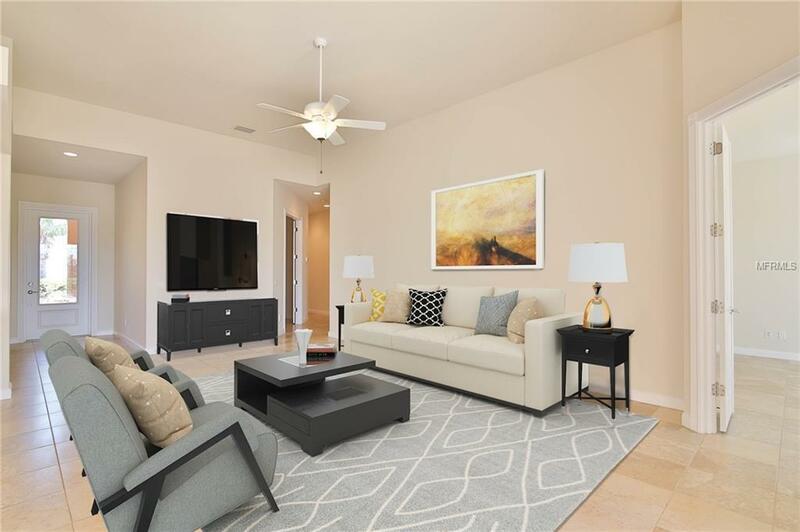 At 2000 square feet, 3 bedrooms + den, and 3 bathrooms, this "like new Oakmont model waterfront pool house is lightly lived in home that is clean & neutral, and has been meticulously maintained. As you enter through a beautiful 8 tall glass entry door you are mesmerized by the pool and lake view. 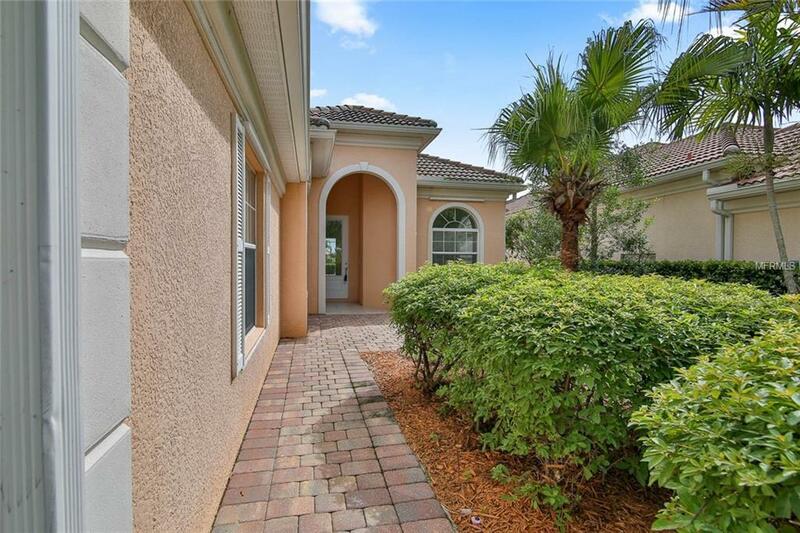 It has tiles throughout, 12 foot ceilings that give it a grand open feel, and large spacious great room with open kitchen floor plan. The kitchen features wood cabinets, side by side refrigerator, smooth top stove, dishwasher, tray ceiling & Corian countertops. The spacious den/office/fourth bedroom features double entry doors and a two large arch-top windows allowing abundant light into the room. 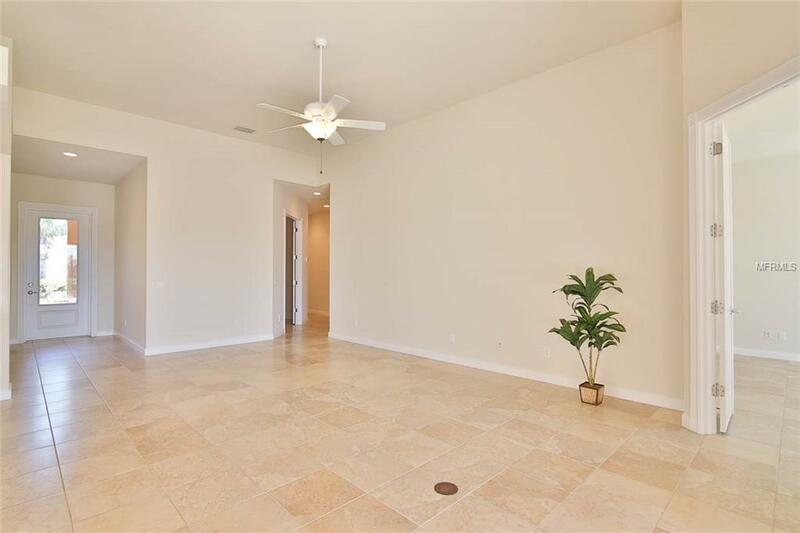 Double entry doors lead to the elegant masters suite which also has sliders to the lanai & pool area. Large walk in closet with built in closet organizers. Two separate en-suite baths feature a soaking tub, walk in shower, and dual sinks & toilets.The outdoor space is relaxing with a custom designed pool, concrete patio, privacy wall, spacious covered lanai & incredible view of the lake. 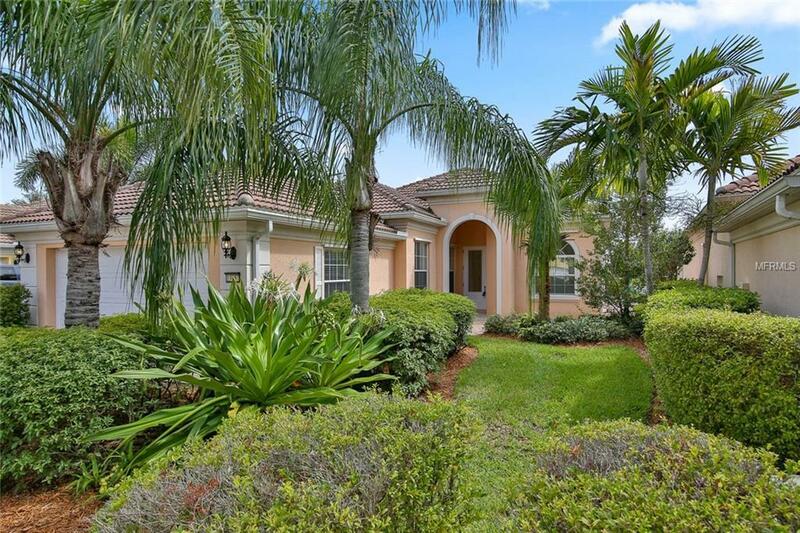 The elegance of this home with 12 ceiling height, three sets of 8 tall sliders to the covered lanai, hurricane protection, and poured concrete walls make it strong, safe, and ready for you.Islandwalk has so much to offer: 24/7 Guard gate and security, beach entry pool, lap pool, hot tub, tennis & pickleball, bocce courts, fitness center, exercise studio, and more - Islandwalk has something for everyone! Additional Lease Restrictions Must Provide Office A Lease Or Contract 20 Day Prior To Leasing Or Selling.